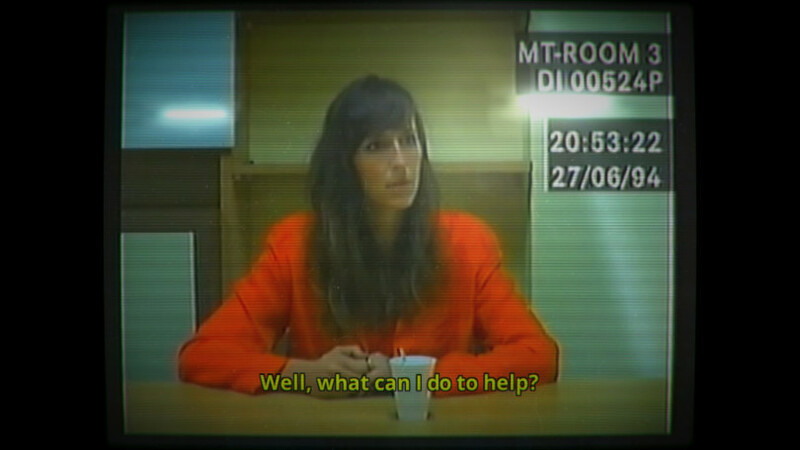 Her Story is an interactive movie video game created by British developer Sam Barlow, in which the player has to investigate on the case of a missing man, through police video clips that are archived in a computer’s database. With this article, I’m focusing on the narrative structure of the game. This article is spoiler-free. However, for a better understanding of my analysis, I recommend that you play the game before reading it. I usually make sure to read reviews before I buy a game. Yet, I bought Her Story even though I knew almost nothing about it. Yes, this is risky. You never know for sure whether you’re going to like a game or not. But sometimes you’re positive that you will, even if you the only thing you know is the name of its creator – in the case of Her Story, Sam Barlow. As a fan of the survival-horror genre, I knew Sam Barlow from his work on the Silent Hill series, alongside Climax Studios. Silent Hill: Origins was a nice, yet quite classic entry in the franchise, but Barlow’s most interesting work in terms of wrting was Silent Hill: Shattered Memories. The game was based upon a “psych profile” feature – meaning the game actually collected information about the player, such as what items he was observing, which characters he was talking to. Additionally, gameplay sequences were intertwined with basic psychological tests that the player had to pass. Then the game actually adapted the environment, the setting, the characters encountered as well as the outcome of the story, based on the psychological profile of the player. As an introduction to the game, a disturbing message warned the player: “This game plays you as much as you play it”. Shattered Memories had its flaws, but in terms of balance between story and gameplay, it was a very intriguing experience, that reinvented somehow the way stories are told in videogames, with interactivity – meaning the relationship and dialogue between the man and the game – being the key element here. So when I heard that Sam Barlow was releasing another story-driven game, I couldn’t help being intrigued. Her Story is an interactive movie video game, meaning it relies mainly on the use of full-motion video. The game’s interface actually is that of a computer screen. The main window is a database of police video clips that were shot in 1994 and archived in the computer, regarding the case of a missing man named Simon. The woman who’s interviewed by the police, interpreted by British actress Viva Seifert, appears to be a key witness in the case. As the woman’s words have been transcribed in the database, the player can unlock new videos by typing words in the software’s search engine. If this word appears in the transcriptions, the corresponding videos will be unlocked. This is how the interface of the game looks. You can type words or groups of words in the Search Term box, and the database finds corresponding entries. That’s pretty much it. The player has no indications whatsoever, except for two “readme.txt” files on the (in-game) computer’s interface that explain how to use the database. You do not know what’s your goal, nor why you are watching these specific videos from 1994. When you’re launching the game for the first time, the database shows 4 videos linked to the word “MURDER” (“REDRUM”, anyone?) – which of course makes you suspect the woman who’s interviewed of having murdered her husband. With this hypothesis in mind, the player himself will search the database for answers to his own questions, to solve a case which was already solved more than 20 years ago. In the case of a linear narrative – in games but also in books or movies – the story is told in chronological order. In classic forms of narration, the story follows 5 main steps: exposition (the narrator introduces the narratee to the main characters and setting), rising action (something occurs that will change the initial situation of the story), climax (the actual events of the story), falling action (the main problem of the story is solved) and resolution (back to the exposition scene, albeit with a few changes). When the story is told through a nonlinear structure, the various steps of narration are mixed up. The events unfold in non-chronological order, which is why nonlinear narratives tend to create suspense and confusion – the narratee might be confronted to the outcome of a particular event before having witnessed its introduction. In the case of Her Story, narration relies only on the keywords that the player is typing. Not only are you watching scenes regardless of their chronological order (though there is a date stamp on each video), but you can’t rely on the classic five-stage story structure either. The reason for that is that you’re not watching the life of the protagonist through the eyes of an omniscient narrator, or through the protagonist’s own eyes. You’re watching the story as seen from the point of view of an outsider – that of the police officers who interviewed the woman back in 1994. The police officers themselves had no idea who this woman wasn nor are they aware of any of the 5 steps of this story. The narratee can’t even rely on the point of view of the narrator to find out who is the protagonist, and who are the characters she mentions. Interactive movie games are usually known for their cheesy acting. Fortunately, Her Story benefits from the talent of Viva Seifert, whose credible acting makes the player even more confused. Is the protagonist telling the truth? Is she lying? Is she guilty of anything? You never get to hear the police officers’ questions – only the woman’s answers, which can be tricky and misleading. You may think that Simon’s murder was a love crime, and type the word “affair” in the database. Every word you type in the database is like a new hypothesis in your investigation. But for all you know, the policemen’s question might have been a completely different one. You came here with the question “Did her husband cheat on her?” in mind, but the video you’re watching might be the answer to “Do you like pizzas?” and you wouldn’t even know it. Unlike in other video games, the narratee is totally left alone, without any narrator to guide him through the story or to introduce him to new characters. You have to make your way through the story, to find out by yourself the answers to all of your questions. There is some sort of omniscient narrator, actually (the database), but it’s not willing to tell its story. It is up to the narratee to question the narrator. Her Story is an investigation game – but what has to be investigated isn’t a crime scene, it is the computer, the database in which the videos are archived – the story itself is the mystery. And I do mean it when I claim that the database somehow functions as an omnisicent narrator. The database knows all the answers (thanks to the video archived in its memory), but it also knows all the questions. 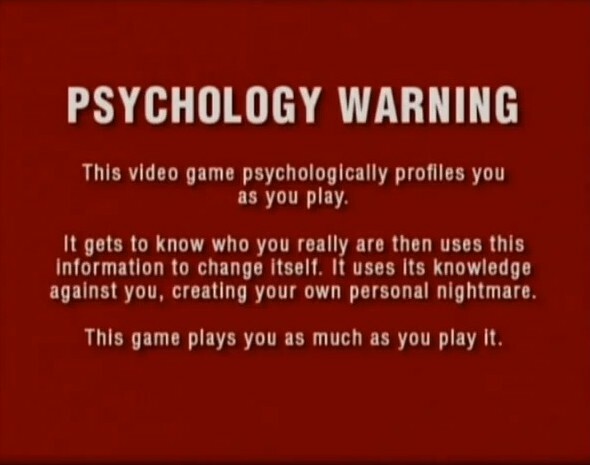 Remember what I told you about Silent Hill: Shattered Memories and its disturbing introductory message, “This game plays you as much as you play it”? In a way, Her Story plays you, too, because the database “knows” what hypotheses will come to the player’s mind, and what words he/she will type in the search engine. The game constantly tries to debunk the player’s theories, and to mislead him/her. Once again, let’s imagine that you think Simon’s murder was a love crime. Just type “affair” in the database, and the first video that comes out is the woman stating: “No, Simon never had an affair”, or “Oh no, I’ve never had an affair…”. Of course, she may be lying, but what can you know? The database knows the truth, but you don’t, since you, as the narratee, are still seeing the story from an external point of view (i.e. the videos filmed by the police). The real brilliance of Her Story is precisely that, the way the game (and by “the game”, I mean Sam Barlow) has managed to anticipate the keywords the player might type, and to show the player videos that will constantly make him question his own theories. This is a great example of what game-designer and writer Chris Crawford calls “second-person insight”. All great artists have some special insight that gives their work profundity. A brilliant composer has an inner ear that can judge the feel of music. A painter has an eye for form, shape, and color. A deep insight into the language gives a top-notch writer the ability to come up with the perfect phrase. In the same way, the interactive artist needs a special kind of insight, an artistic acuity few others share. I call that acuity second-person insight. It’s the ability to think primarily in terms of how an expression will be perceived by the audience. Second-person insight is the key to interactive storytelling. The storyteller has to keep some sort of control over his story, so that it keeps making sense, even in the case of a nonlinear narrative. In Her Story, Sam Barlow actually anticipated most of the player’s interactions, in order to guide him (or mislead him) through the story. But even if the storyteller/developer can find ways to anticipate whatever keywords the player will think about, there is still a huge part of unpredictability in this form of storytelling. What’s really interesting in Her Story is that every player will live a totally different experience, based on the keywords he will write in the database and the videos he will see at one given time. I was able to realise that when I watched a friend play Her Story a couple of days after I did. He typed very different words from mine in the database, and as a consequence, has watched the videos in a completely different order. And of course, his hypotheses concerning Simon’s fate and the protagonist’s story were very different, too. In the end, we both came up to the same conclusions, but the path towards the truth was very different. And then, when we shared our impressions about the game, we also realised how different they were, simply because we did not have the same perceptions and interpretations of the story. With Her Story, Sam Barlow has reached one of the highest degrees of interactive storytelling. A videogame almost always revolves around interactive storytelling, since the narratee/player identifies with the protagonist. But storytelling in videogames usually takes one of two forms: either the story is linear and you’re only following it (just as you do in a movie or a book), or you get to choose the outcome of the story through your choices and actions in-game. Here, the player’s choices do not change the outcome at all – the player interacts with the story itself, but he doesn’t change it. Actually there may or may not be an outcome to the story. Since you do not have any goal when you start playing the game, you’re basically free to stop whenever you want. I chose to stop playing when I had all the answers to my questions, even though I hadn’t unlocked every video from the database. But then, when I watched my friend play, I realized there were still questions I had left unanswered. While he was playing, he was confused, too. He didn’t know if there actually was an ending to the game. He kept asking me “When can I stop playing?”, and I kept telling him “Well, it depends on you. Did you find the answer to all your questions?”. The story already is over, and the mystery has been solved years ago. All of this happened back in 1994. There’s no point watching this again… Except there is a real ending to the game, which I won’t be spoiling here. But even after the “canon”, ending, you can keep watching other videos (and unlocking them all takes some time). It really is the player who has the power to decide when the story stops, somehow. Interactive storytelling isn’t specific to videogames. It also exists in Choose your own adventure books, for instance, or in interactive movies on DVD. But even though these are other great ways to tell interactive stories, they still rely on predictable mechanics, such as page numbers the reader can go to, or specific chapters on a DVD. 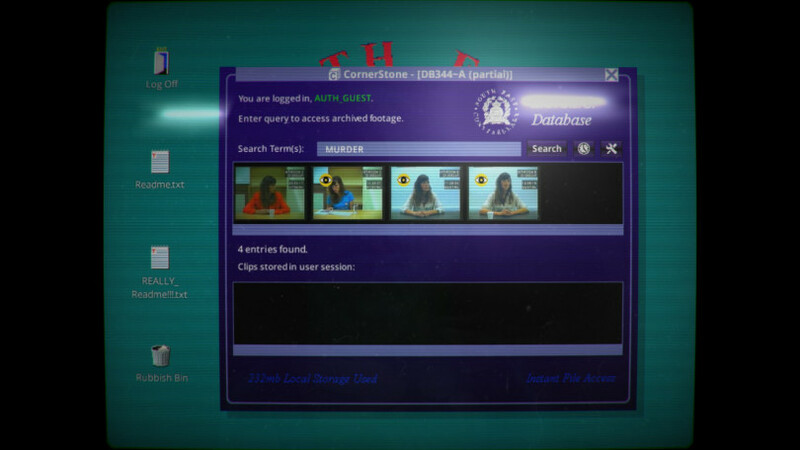 Her Story is unique because of the use of the database system – meaning the player can basically use every word he wants (the only limitation being that the word must have been spoken by the main character at one point). The developer, the storyteller, cannot anticipate everything, not even with second-person insight. Her Story certainly isn’t the first interactive movie format, but it does bring something new to the genre. It also lacks real gameplay mechanics to be considered as a game, per se – but in many ways, Her Story paves the way for brilliant new forms of storytelling in videogames and other media, and it is still an experience worth playing. Her Story was released on June 24th, 2015 for Windows and OS X and iOS. Want to buy the game? Click here: Steam – iOS. You can visit the game’s official website here: www.herstorygame.com. Second-Person Insight by Chris Crawford in Chris Crawford on Interactive Storytelling, second edition, New Riders, 2012.